Forever 21 Black Friday is here! 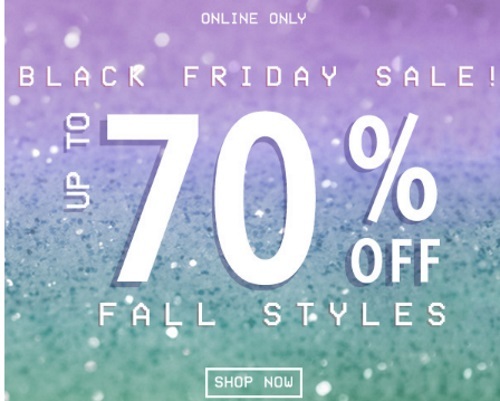 Save up to 70% off fall styles! Plus get Free Shipping on any sized order (no code required). There are Black Friday deals starting at $5! Take an extra 30% off sale items with the promo code EXTRA30 at checkout.